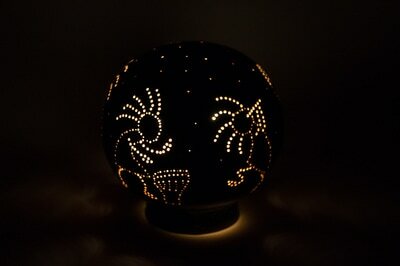 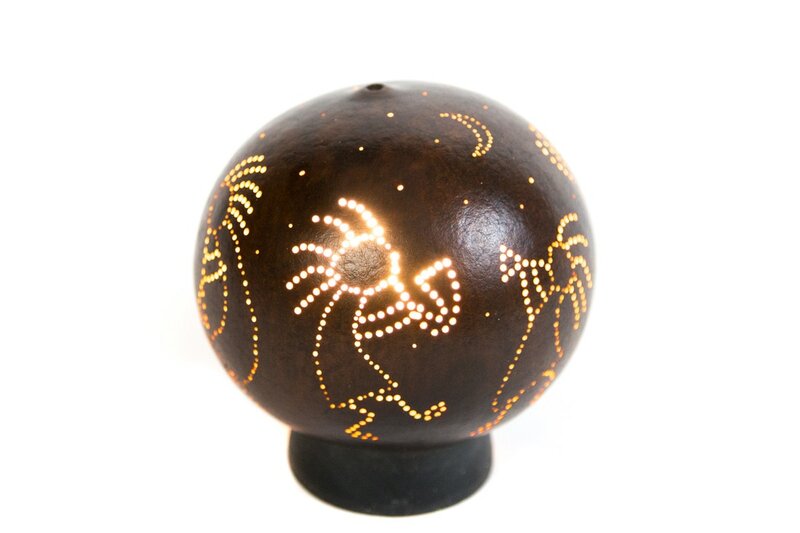 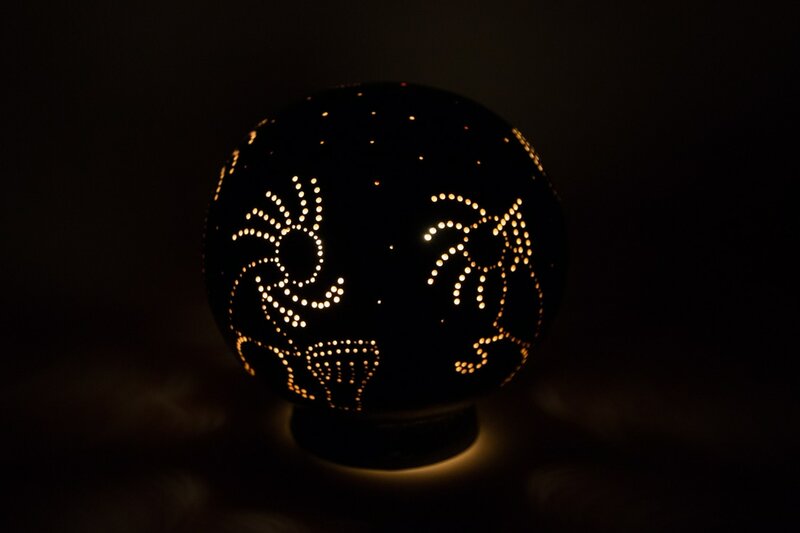 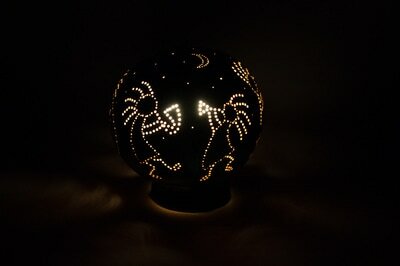 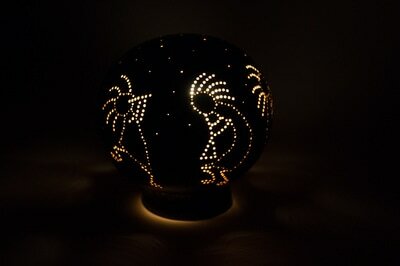 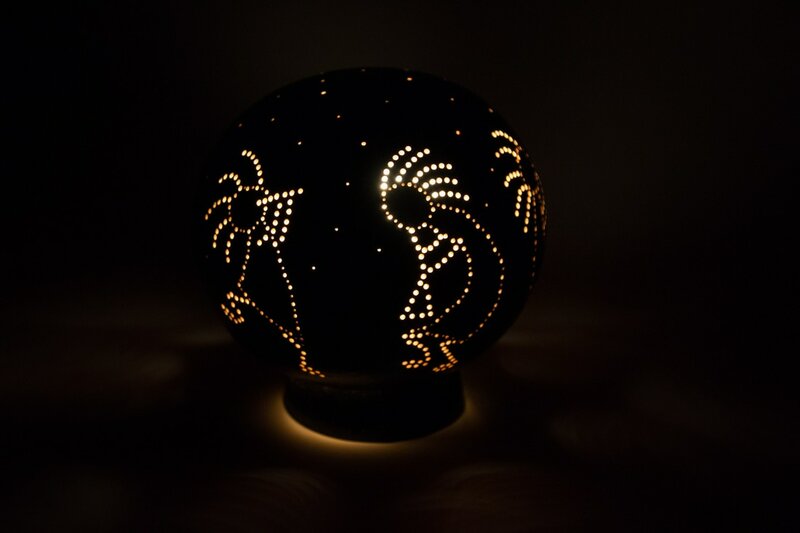 The six dancing Kokopelli's on this gourd will make you want to get up and dance! 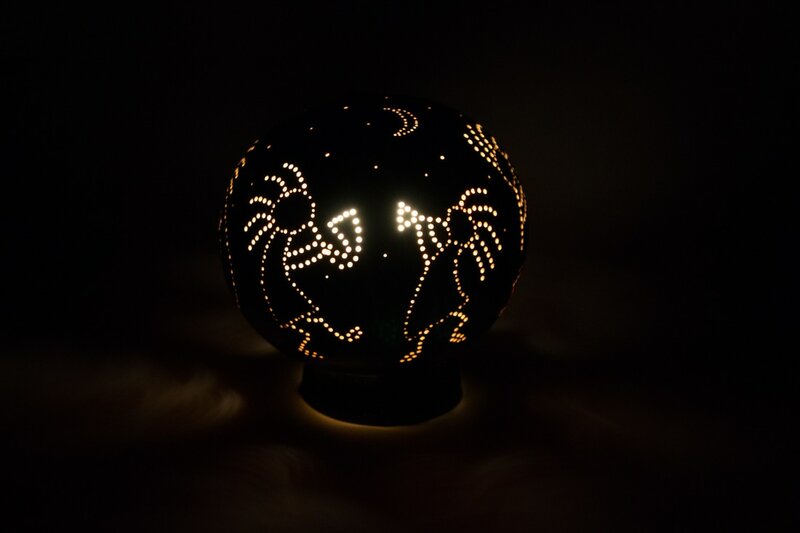 Each Kokopelli is playing a different instrument. 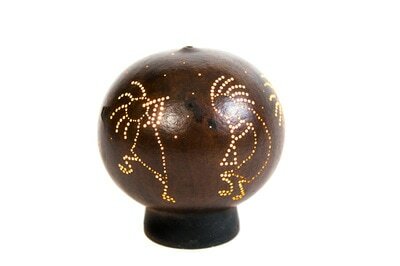 The gourd is dyed an earthy reddish brown color called Cordovan.